You say you want transparency in the entertainment industry? Many of us say we do, from Ted Hope to John Sloss to Liesl Copeland. But you know who is REALLY serving up some transparency in the way his company operates? Joseph Gordon-Levitt and HitRecord! I must admit, I was intrigued when Gordon-Levitt launched HitRecord at Sundance 2010 and I had dropped in on the site a few times since then to see what was happening. I just didn’t get it. It seemed to be a site for collaboration much like Wreck a Movie or Talenthouse. A fine concept for those who want to do projects with like minded people for fun, but not a place where anyone would get a project out in the world and certainly not be paid to do it. To my knowledge, most are built on donating talent with no compensation promised. But now that HitRecord has a TV show on Pivot, I went back to have a look at what that entails and how an open, collaborative community could pull it off without devolving into one big “he’s stealing our work and making money off of it” fiasco. The show itself revolves around one main theme each episode. For its inaugural episode, also on Youtube, the theme was ONE. 426 contributing artists were part of the first episode. Pretty amazing to think of the complicated process that went into choosing from thousands of submissions and keeping track of how much each artist contributed. Now, why does it matter how much they contributed? Because that is how they get paid. There is no flat fee system with HitRecord. -Profit allocation is at the discretion of The Operating Committee and based on feedback from the hitRECord.org community of users through the use of a comment system. In other words, the company publishes a FULL profit statement online for everyone to see with preliminary allocations to each contributing artist of the project. These are called profit proposals drawn up by the community director, the software engineer and the financial comptroller and they can be changed based on feedback from the HitRecord community. Have you ever heard of such a business model in the entertainment industry?? If you know of an open, collaborative community for artists that is actually paying the artists, please speak up because we need to hear WAY more about this than any lip service about reporting on VOD numbers! Business models that take into account how to deal with intellectual property and revenues need a lot more coverage than they are currently getting in the industry press. That could be because of the lack of real researching journalists in the current media landscape. Apparently, it is so much more attractive to report on the glamorous actor Joseph Gordon-Levitt rather than his complicated business model for HitRecord. The other thing I find extremely refreshing in this approach is the truth he tells on revenue in his model. Right upfront on the home page, he explains that HitRecord is primarily not about making money. It is a for profit company, but that doesn’t mean it is making millions nor does it exist for that purpose. This is a good thing to acknowledge because far too many independent filmmakers and film investors have unrealistic expectations of what working in the arts really means. As is mentioned on the site, you make money to make more movies, not the other way around. Anyone with a modicum of business knowledge will know it is extremely rare for a company to show much profit in its early years. The trick is to make enough to get to the next year, and the next, until finally (or never) sustainability is found. 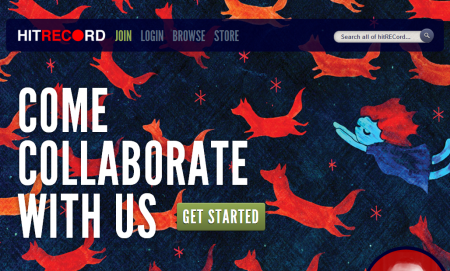 In 2010, HitRecord paid out $39, 651 to contributors. In 2011, that amount had climbed to $109, 695. In 2012, they paid out $399, 289. It is a remarkable year over year jump! Then comes the process of calculating the pay outs and I don’t know of ANY company that would go to this kind of tedious work. They go frame by frame in each episode and breakdown the contributions and decide amongst themselves on the percentage allocations first, then send it out to the community to give feedback as to its fairness. Big props to the whole team at HitRecord and I hope they get a lot more worldwide attention for the work they are doing and compensating contributing artists. Getting artists paid fairly should be paramount! This is a guest post from director Nick Lawrence who wanted to share his experience in releasing his film Time Expired on Youtube so that all might benefit from it. If his numbers seem low to you, think about how much money a typical filmmaker receives from a no advance distribution deal with little marketing efforts put behind it where the filmmaker has relinquished all rights to her film. That is the most common distribution scenario of most low budget, no prestige festival, no name cast independent films. YouTube isn’t just a spot to share short videos. It’s also a surprisingly strong platform for releasing your feature-length film. My producing partner (Rachel Tucker) and I released our 93-minute comedy film Time Expired on YouTube in late 2011. Since then, the film has been viewed almost 700,000 times, with 2,000-3,000 people watching it every day. We’ve earned $3400 in ad revenue in the last year, and the numbers keep growing: $339 in April, $442 in May, $652 in June. In fact, YouTube has become our most lucrative platform, far outperforming VOD and DVD sales. Since Time Expired was made for a very low budget, we are actually looking at recouping our entire investment in five to ten years — almost completely thanks to YouTube revenue. If you’re like me, you might initially find the idea of putting your film on YouTube a hint distasteful. YouTube started out as a place to share short amateur videos, and that’s still how many see the site. Putting your film on YouTube doesn’t fit the old narrative of being chosen and embraced by the system. I suggest you get over it. YouTube is the third most popular website in the world, the film and TV arm of Google. YouTube is familiar, easy to use, and available on mobile devices, smart TVs, and even gaming consoles. The site is expected to earn 4 billion dollars this year, growing to 20 billion by 2020. That said, YouTube is best used as part of a comprehensive release strategy. Ideally, you’d start off releasing on VOD platforms like iTunes and Amazon, and then move to YouTube and other free/subscription platforms (Netflix and Hulu) once VOD sales have slowed to a trickle. But for many smaller films like ours, access to these platforms is not guaranteed. YouTube offers the chance to circumvent these barriers and reach a worldwide audience of thousands, even millions, while earning not insubstantial sums of money. Since Time Expired lacked name actors and marketing hooks, our chances of finding a distributor were basically nonexistent. Rachel and I decided to release our film using a “freemium” strategy — making it available for free on various platforms and hoping it would spread virally on its own. Unfortunately, the viral part didn’t happen. We learned the hard way that most people just aren’t that interested in discovering new films. YouTube, however, proved to be an exception. Four months after release, we were averaging about 100 views a day. Six months after release, the film was up to 1,000 views a day. What happened? Did the film finally catch on and go viral? The data from YouTube Analytics reveals something else is happing. The number one reason people click on Time Expired is as a suggested video. YouTube suggests our film to people who have been watching other feature-length films, often of questionable copyright status. These films don’t always have much in common with Time Expired, but they tend to be newish features with a mainstream sensibility. In other words, YouTube’s algorithms are connecting us with a global audience channel-surfing for movies. Our second biggest traffic source is searches with strings like “Hollywood”, “full movies”, and “comedy”. Most viewers aren’t searching for our film by name. They’re just looking for a movie to watch. One of the interesting things is who these people are. According to YouTube Analytics, 80% of views come from outside the US, including unexpected places like the Philippines (35,000 views), Saudi Arabia (26,000 views), and Malaysia (20,000 views). The film has been watched in 218 countries and territories, ranging from Afghanistan (151 views) to Zimbabwe (471 views). Also surprising is the age range: two thirds (66%) of viewers are 45 or older, defying the stereotype of the typical YouTube user. This probably reflects the subject matter of our film, which is a comedy about dying. A full third of viewers watch the film on a non-computer screen, such as a phone (17.6%), tablet (10.2%), or TV (1.6%). Uploading your film is pretty much the same as uploading any other YouTube video. Guidelines for best encoding quality are here. Although YouTube started out only accepting short SD videos, those days are long gone. The site now supports 4K resolution films of any length. You’ll need to become a YouTube partner in order to monetize your film, but this is no longer difficult. You’ll also need to provide proof that you own the rights to the film. In our case, we emailed scanned copies of the music licenses and a document that certified we owned the film’s copyright and controlled our YouTube channel. 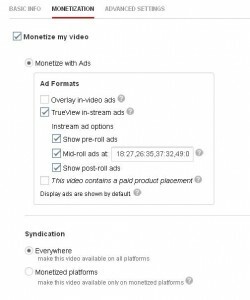 Once the film has been accepted for monetization, you can choose the type of ads you’re willing to allow using the monetization tab. TrueView in-stream ads are basic commercial breaks and can appear before, during, or after the film. You can choose the act breaks (spots for commercials) by adding minute and second values into the mid-roll field. 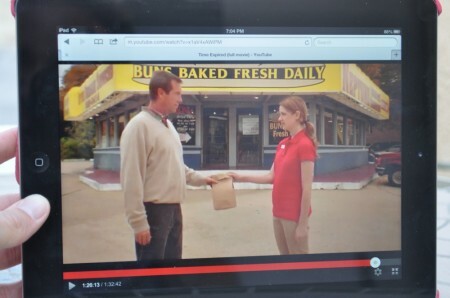 Overlay in-video ads appear as little text boxes directly over your film. We opted out of overlay ads because I believe they diminish the viewing experience, but it’s your choice. Text ads also display by default on the sides of the view page. Pay close attention to how you present your film on its YouTube page, including the description, key words, and title. Don’t expect most potential viewers to be searching for your film by name. We titled our film “Time Expired (full movie)”, which I believe is an important factor in its success. When entering key words, try to cover the obvious, keeping in mind that people are searching for things like “full movie 2011″, “english movies”, and “Hollywood movie”. Cover the basics and as many variants as you can think of. I’d also recommend looking at popular movies on YouTube in your genre. How are they titled? What key words are they using? Another issue to consider is the snowball effect. Like a snowball rolling down a hill, your film becomes more popular the more times it’s viewed. YouTube tends to connect people with popular videos, which only reinforces their popularity. That’s why you want to give it a nice strong push down the snowy slope. I’d recommend doing everything you can to help your film in the first weeks/months it’s up on the site. In our case, the film really started to build momentum after three or four months, but I’m not sure this would have happened if we hadn’t worked hard promoting it early on. We held screenings in Oklahoma (where we shot the film and where most cast and crew lived). We sent out press releases. We contacted everyone on our mailing list and posted on our Facebook page. We mailed out cast and crew DVDs (about 100 total) with a letter asking for help “spreading the word” and some cards that people could share with their friends/family. We never paid for YouTube promotion, although this might not be a bad idea at the critical stage when you’re getting started. I can also see paying for some advertising on Facebook to help drive traffic. YouTube also supports captions and subtitles in multiple languages, which will make your film more attractive to some viewers. 1. Vimeo has no advertising, which means you can’t make money the same way. 2. TIME EXPIRED has 680,000 views on YouTube versus 745 on Vimeo. This isn’t because we promoted YouTube any more than Vimeo. We started out promoting both sites equally, but it quickly became clear that most people were choosing YouTube over Vimeo. 3. YouTube can deliver a global, channel-surfing audience in a way that Vimeo cannot. In the case of our film, it’s not just a little bigger — it’s a thousand times bigger. So post your film on Vimeo by all means — but don’t skip YouTube. YouTube is a strong and underrated platform for releasing your feature film. Once the film is up and running, you can earn hundreds of dollars a month while being discovered by a global audience of thousands or even millions. Nick Lawrence is the director and producer of the feature films Time Expired (2011) and Shades (2013). He lives in Los Angeles, CA. Ever wonder how those big budget film trailers explode onto the internet with millions of views seemingly in hours? Is it really because the trailer is spectacular and everyone happens to be talking about it or is there something else at work? I recently contacted Erick Brownstein of Media Needle who offer video seeding via their partner company, YTM, to find out more about how these types of services work. You may think that videos simply “go viral” on Youtube, that compelling content just attracts viewers who then happily share it. But with over 72 hours of video uploaded to Youtube EVERY MINUTE, it is highly unlikely that your video is going attract significant organic views with no help whatsoever. Every major film studio and most big brands use these seeding services to provide a high volume of views for their video campaigns for trailers and branded content. The way YTM works is essentially via an advertising network that is connected to around 5000 premium, highly trafficked websites with advertising spaces to sell. You tell YTM what audience or category you are targeting, and they use a proprietary system called ViewIQ to calculate about how many views you could get in a short space of time that may catapult you into trending topics (more on that in a minute). While a minimum number of views is guaranteed, your video “ad” will also benefit from organic views (those aren’t subject to additional charges) simply by being prominently featured on these sites. They also optimize the keywords in your video’s description for search engines so it will be highly placed in organic internet searches. One thing that YTM has perfected is the ability not only to guarantee a minimum number of views, but to work within the algorithm that calculates a Youtube trending video. Videos that make it into trending topics, which are featured on the homepage of Youtube, attract the attention of nearly 15 million additional viewers looking for what’s hot on the site. Part of Youtube’s algorithm that chooses which videos to highlight takes into account a short time frame from first upload and the variety and legitimacy of the source of the viewing traffic. It then determines a “what’s hot” list. Videos on this list usually only enjoy a 2-4 day run before they are pushed off by other new videos, though hot videos can enjoy a long run at the top of Google search pages. 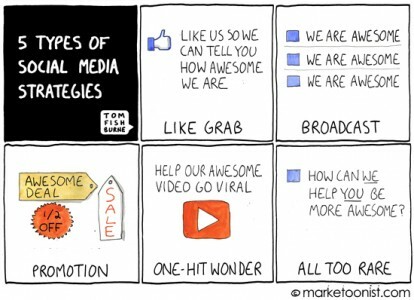 However, there is no guarantee that your video will make it onto this list. It really depends on what other videos you are competing with at the time. In other words, the seeding gets your video noticed and then organic views take over after that which can boost your view count into the millions. Your video content is embedded with a unique code that keeps track of the number of views and where the traffic came from. This is via a proprietary system called ShareIQ. The video is then distributed to the existing network websites, targeted to the campaign’s specifications based on geography/demographics/interest of the audience you are trying to reach. The campaign is 100% viewer initiated click, meaning one can’t just scroll over the video and it counts as a view nor does the video play automatically on a loop. The wider those audience specifications are, the more economical the price per view. The narrower the specifications, the more expensive the price per view. Views are calculated by the amount of time watched because Youtube policy dictates that a view is counted only after 15-20% of the video has played. Now the nitty gritty, cost. YTM charges $.10-$.15 per view. In order to reach trending topics to get the organic view “kick” that really propels your video into the “viral” territory, it would cost about $50,000 (500,000 views x $.10 per view) for a campaign reaching a relatively wide audience in a short space of time. Campaigns that spend over $50,000 also benefit from additional blogger outreach by the YTM team, meaning they not only place your video on their network of sites, but they also pitch bloggers to write articles about it. You have probably read these articles on many entertainment sites about how such and such trailer for a movie is “viral” and these are the result of having a seeded campaign. There is definitely a PR benefit to having your video in the trending video list. For a campaign more interested in reaching a highly specific audience, the cost per view is more because you are decreasing the amount of sites the video will be placed upon in order to reach a certain viewing goal. My guess is YTM makes most of its money in reaching high volume sites with general audiences that easily reach say, 500k views. If your campaign is so restrictive in its focus that it will only be applicable to say 50 sites in its network, there won’t be much margin in only charging $.10 per view since you may only hit 30,000 views so they charge a higher price per view. But let’s face it, hitting 30,000 views is not newsworthy and it won’t get your video to cut through the noise that is Youtube and its trending videos list. You could probably reach 30K through your own efforts so a video seeding service may not even be right for your work if you are satisfied with reaching this level of view count. Now, I know what you are thinking…online tools were supposed to provide a FREE way to reach mass, global audiences! While it is theoretically possible to reach a mass audience for free, more often payment is needed to rise above all the others who also believe they can reach out for free. Payment also tends to expedite the process. Video seeding is not something they talk about in the Youtube Creator Playbook though, is it? Whether you are trying to attract “buzz” for your film’s premiere (and make a big distribution deal, say at a festival like Sundance), get more people to watch your webseries or transmedia project, or sell more cinema tickets, you might want to build some significant video seeding money into your budget. It is still cheaper than TV spots and with the ability to place well in search results, it may be a smarter and longer lasting advertising spend.